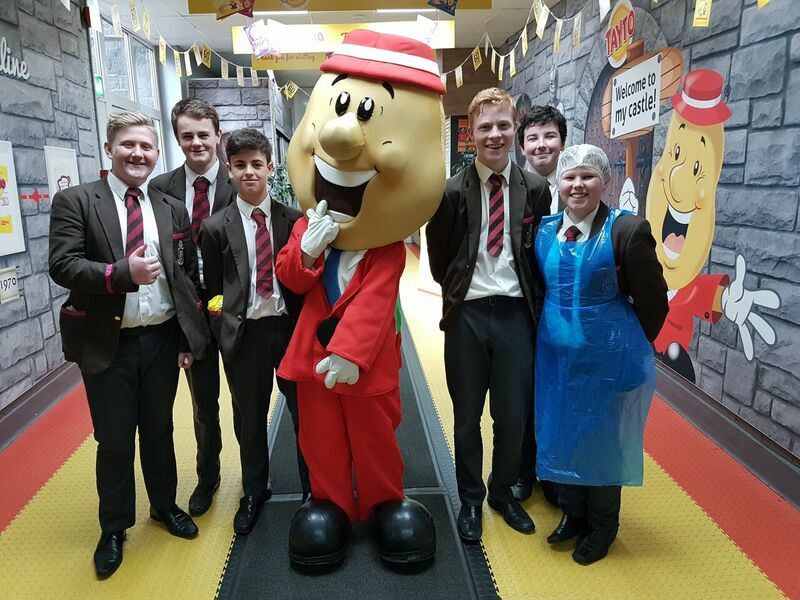 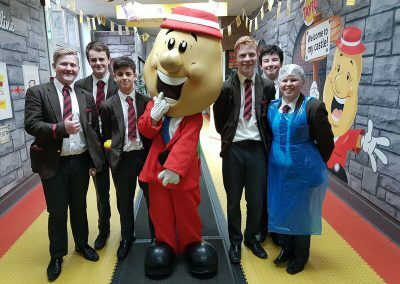 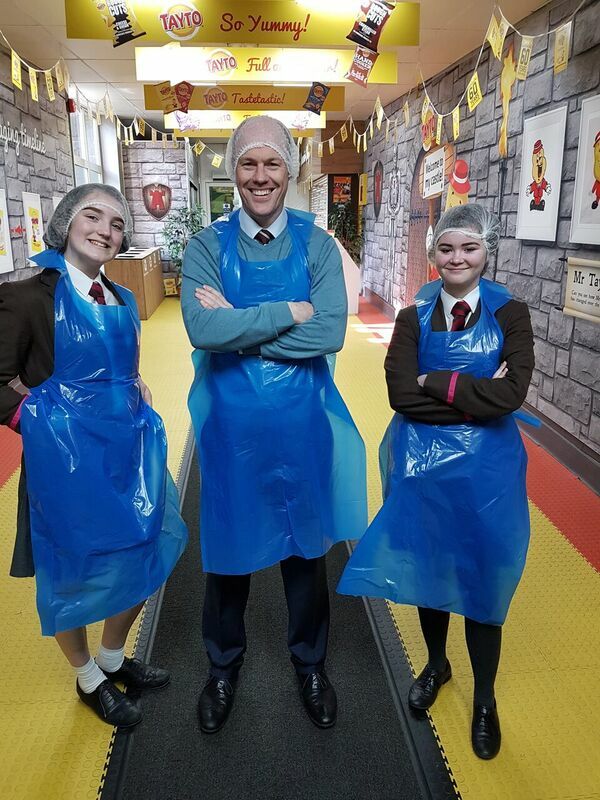 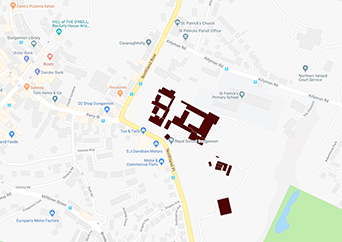 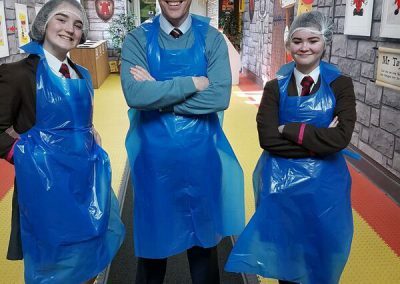 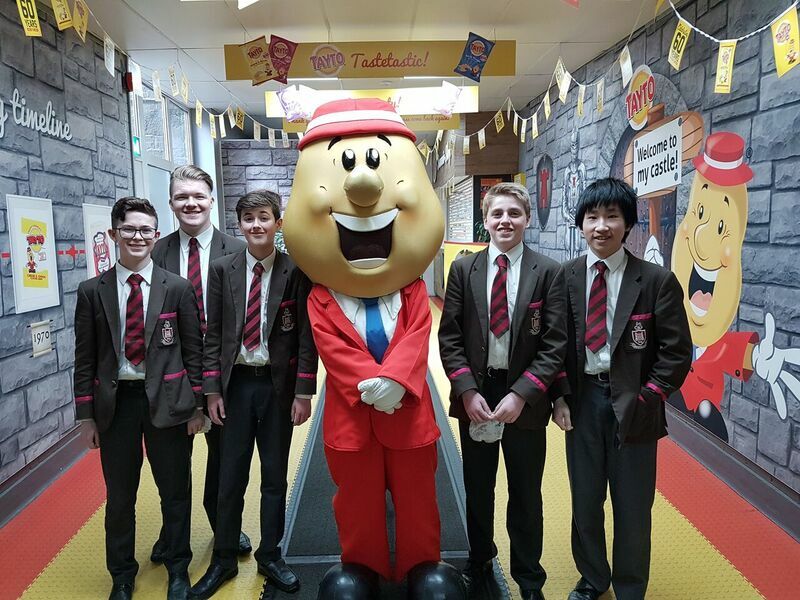 On Thursday 6th April, Year 10 went to Tayto Castle as part of their learning for the Food Safety topic in Food Technology. 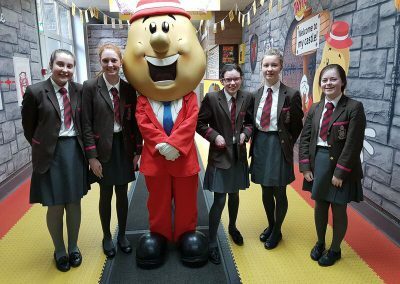 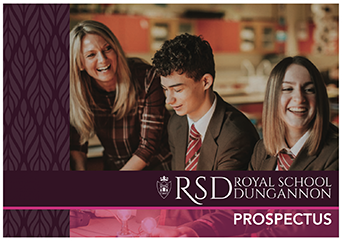 Pupils had the opportunity to see how the crisps were made, learn about the safety procedures in place and of course sample crisps. 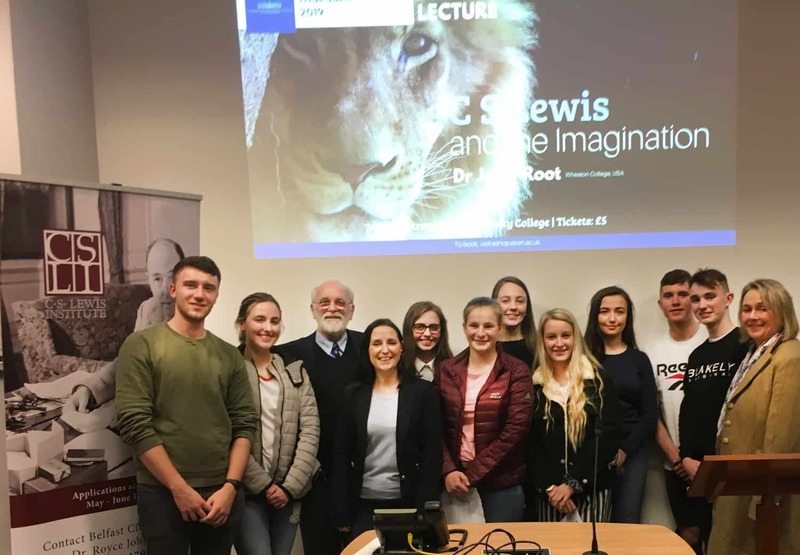 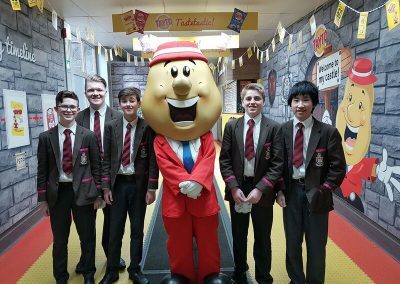 Everyone had a great time- we were kindly treated to some complimentary bags of crisps at the end of our tour and we even got to meet Mr Tayto himself!